In an industry where it seems like every other game released is a shooter with insane amounts of blood, gore, and language, it's nice to have a game that is a little toned down -- one that actually makes you think a little and doesn't spell everything out for you. It's nice to have a game that is just fun. INSIDE from Playdead, the folks that brought us Limbo, does just that. 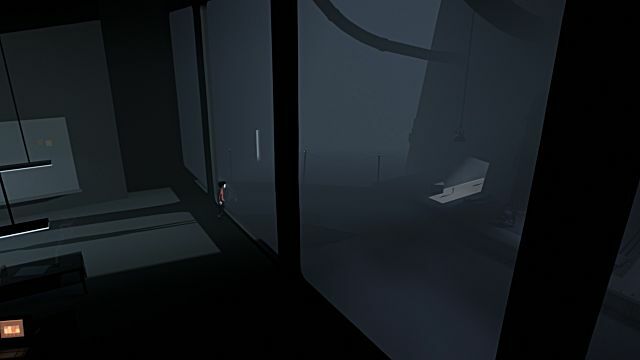 The game is very simple graphically, using only black, white, and red. But the environment itself beautiful and rich. It almost speaks to you with a story of its own. 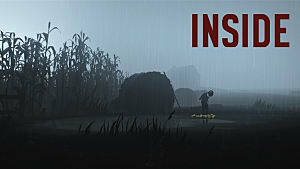 INSIDE also has very little voice acting, other than grunts (from jumping and falling), but you can understand what the character is feeling based on his body actions. 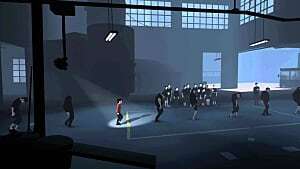 Playdead does not tell you much about the story, or really anything for that matter, but instead leaves it up to the player to figure out on their own which I really enjoy. (I will write a separate article about what I think is going on). 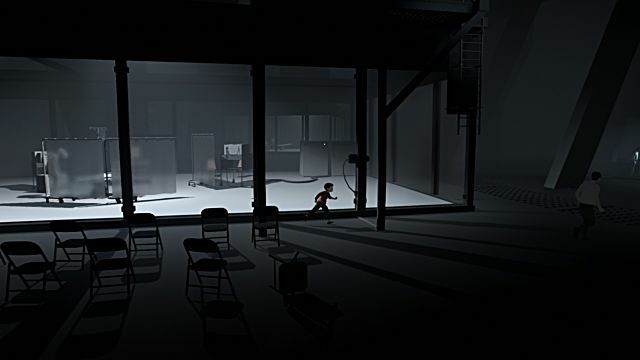 The main character is a boy who seems to have escaped some kind of testing facility, and he is on the run. Along his journey he is chased by dogs, guards, a creepy water lady, and even gets to drive a submarine type ship. 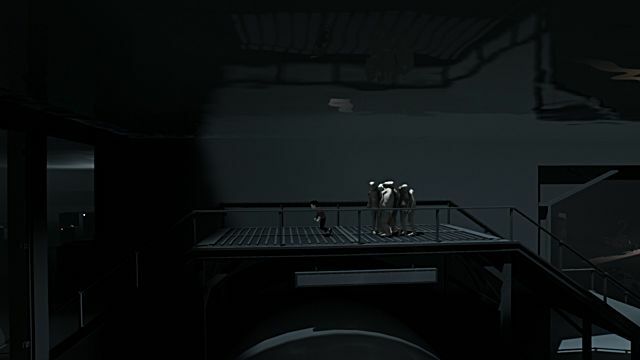 Much like Playdead's Limbo, the game is very creepy and unsettling. 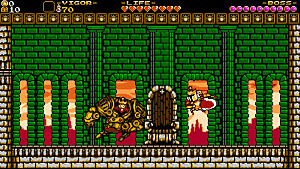 During my time playing, I always had the feeling like something bad was about to happen, or that another gross/depressing scene was waiting for me in the next room. 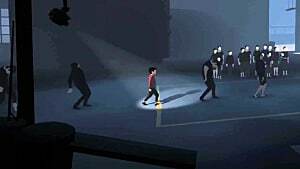 For example, in the picture above you can see the main character and a group of people following him. 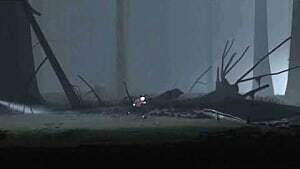 Those people are almost like zombies that the player can control with his mind. They are brainless bodies that follow the player and do whatever he wants them to do. When he is done with them they just fall lifeless to the ground. 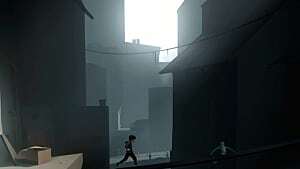 The gameplay is simple -- walk, jump and grab are the only controls that you will use are you make your way through the three or so hour story. The game is only $19.99, and even if you feel that three hours isn't worth the money, the joy that this game brings will be well worth it. 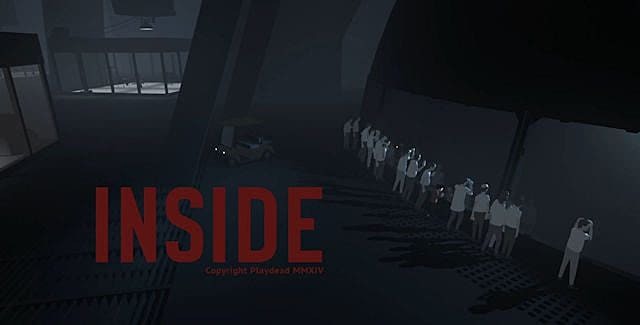 If you want a game that will make you think not only about the story but about the games many puzzles, then this is a game that you need to pick up. Since it can be beaten in about three hours. I would also suggest playing it all in one play through. 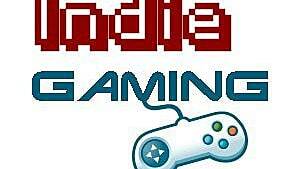 It will keep you immersed and make it a more rewarding experience. 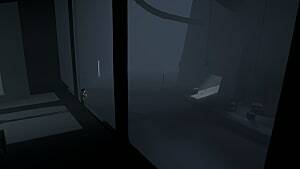 Essentially this game is a lot like Limbo -- which is a great thing, because Limbo is an amazing game like INSIDE. The only thing that stops this game from being a perfect ten out of ten is the fact that it is only three hours long. It could have just been a little bit longer, and it was so well done that I wanted much, much more. 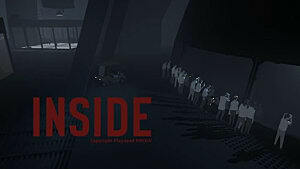 INSIDE is a breath of fresh air in an industry flooded with over the top violence. What the Hello Kitty is Going On in INSIDE?